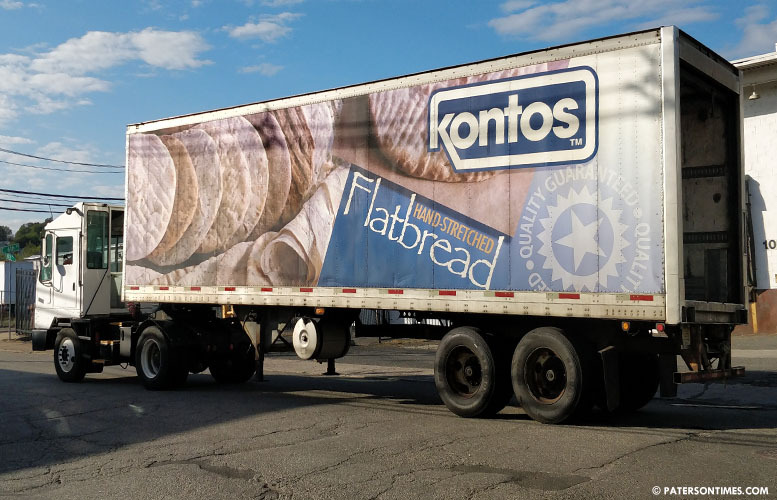 The Greater Paterson Chamber of Commerce has given its ‘Faith in Paterson’ award to local flatbread manufacturer Kontos Foods for creating jobs and contributing to the economic development of the Silk City. “We’re so proud to receive this award on behalf of Kontos Foods and all of its employees,” Steve Kontos, vice president and owner of Kontos Foods, said. He and Evripides Kontos founded the company in Paterson in 1987. Since then, the company has witnessed exponential growth providing artesian breads and traditional Mediterranean foods for restaurants, hotels, food service, retail specialty stores, and supermarkets worldwide. Dykes recognized the company at the chamber’s 109th annual gala at the Westmount Country Club in Woodland Park on Saturday. Kontos Foods operates out of the Bunker Hill section of Paterson. It has 275 employees. Last year, the company received an award of $30 million from the New Jersey Economic Development Authority (EDA) for the expansion of its 6th Avenue facility that allowed it to create 46 full-time jobs in the city. The company pays a median wage of $25,000. With unemployment rate at 8.9-percent or twice the New Jersey average, Paterson can use every job it can get.